Here’s the first in a series of video overviews of the streets and communities at Reunion Resort, Orlando. As far as luxury real estate goes, there’s simply nothing quite like it for vacationers and golfers heading here to the sunshine state. With 2,300 acres of lush tropical landscape, Reunion offers a true paradise for families, business groups and devoted golfers to enjoy. Best of all, Palmilla Ct is just a 12 minute drive away from Walt Disney World! Palmilla Court, nestles peacefully within the Jack Nicklaus course, bordering parts of the 10th, 11th, 12th and 13th holes of the challenging and picturesque, ‘bunker filled’ course! Palmilla Ct, and its neighboring Muirfield Loop enjoys a prominent spot within the 3 course community, with an impressive vista from the Sinclair Rd entrance to the resort. Palmilla provides a small selection of fabulous homes for sale at the moment, and it is rare to see more than a handful for sale at any one time here. So too with vacant lots. Yes a couple still remain however, should you wish to create your own custom home here in Palmilla Ct, Reunion Resort. 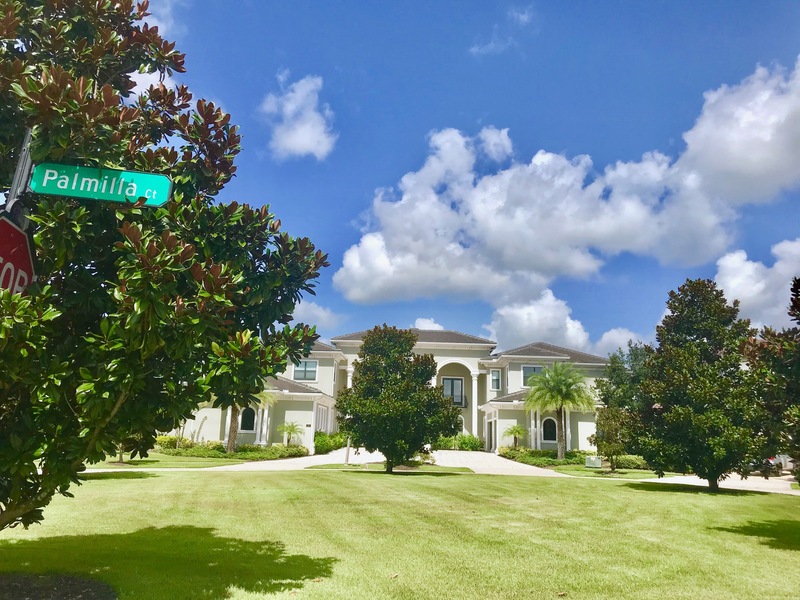 Homes of all sizes and bedroom counts are a success for home buyers, but those impressive 8 bedroom plus mansions are proving to be the most successful with home buyers looking to place their properties into rental programs in between their own usage of the property. Further lots and homes are available and not listed officially in realtor’s websites, so please feel free to contact us for further homes for sale in Reunion Resort.